I want to tell everybody about myself. I often think there isn’t enough fiction of Lusophile origin from Africa , so every time one cross my path it is a welcomed with open arms by me . 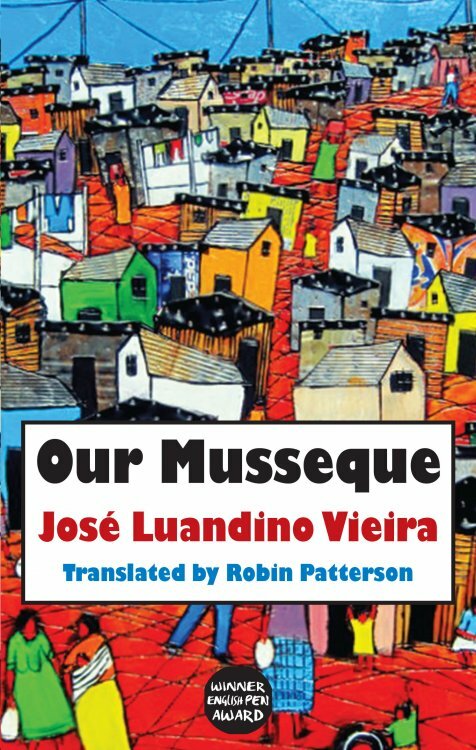 Jose Luandino Viera is a writer who grew up in Luanda in Angola , the setting of the book in the 1940’s .He grew to be a political activist who had a trail in 1959 that start the uprising in his country .He spent a lot of time after that in prison until the collapse of the Salazar regime .He wrote this book in the 60’s whilst in prison although it didn’t see the light of day until 2003 . And so the nickname was born . When people who lived further away from the Musseque heard the story , they chuckled to themselves , made fun of it and said our group of boys had even stooped to messing around with goats ,From then on they started referring to our dead companion as Xoxombo the goat shagger . The book opens with talking of getting a nickname and how everyone had a nickname in the Musseque . This is the story of a Musseque , a township , a shanty town .This is a portrait of te shanty town of Luanda told through the eyes of our child narrator .A world of people with nicknames , a close-knit but rough community of prostitutes labourers and those that provide for them .A tough life for Zeca , Buenu and Xoxombo are a group of boys growing on these streets , watching life on the tough side of the streets as they find girls and fighting .But at the same time there is rumblings in the background of their world that are pieced in glimpses .The book is a collection of glimpses into this world and the lives around it vibrant , colourful but most of all a world on the cusp of something that in the end took more than forty years to get there . The boys heading through the night one the way home angry at the world but friends together . I read this book last december then as is the case with me I put it to one side so sad ,I am at times a bad reviewer as this is one that had stuck with me .Not so much for the characters in the book The narrator and his friends are well drawn child characters . For me what last is the sense of place the vibrant shanty town the place that was their home but also a place that at the time was dangerous for them , but they didn’t see that we do as the reader to them this is their everyday life .I feel Viera who wrote this whilst in prison is looking back with fond memories of his youth seeing the tough side of his life but also the comrades friends and characters he grew up with .this book is considered an important book in the cannon of fiction from Angola as Viera is one of the most decorated writers and acknowledge .I’m so pleased Dedalus took a chance and published this book as it is a gem . Have you read any Lusophile fiction from Africa ? This was a reread for me I read this just after it came out in 2007 and wondered if on second reading would be as good as the first and I m pleased to say yes this book is firmly in my favourite african books of all time .Jose Eduardo Agualusa is a Angolan writer he lived in Brazil briefly but now divides his time between Lisbon and Luanda he has written 7 novels so far this was the 2007 Independent foreign fiction winner . 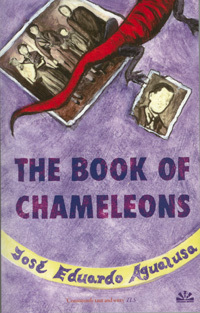 The book is a series of interlocking stories or vignettes that are set in modern-day Angola and involve Felix Ventura an albino weaver of new histories for people ,these stories are narrated by a gecko that is a reincarnation of a dead man ,Well as you see this is firmly in magic realism or african mysticism ,Felix is a type fixer helps people rewrite their lives change there histories ,he is also albino which from what little I know in some parts of africa is a bad omen or a good omen but in felix’s case it seems to give him an air of detachment from the people he deals with .The strength of the book lies in the way it deals with Angola’s past at times violent and how these people look to the future .Felix is so good that one person decides to search into his new past with shocking results . Once ,when I was in my old human form ,I decided to kill myself .I wanted to die ,completely .I hoped for eternal life ,heaven and hell ,god ,the devil .reincarnation ,all that stuff ,was no more than slowly woven superstition ,devolped over centuries and centuries ont mans greatest terror .There was a gun shop right by my house . The gecko remember his past life . Dreams also interweave the books ,Like dreams the new histories rewrites people are never the same and always different .This book is funny in parts and very poignant in others ,such a bright book from such a dark stories and the sadness of Angola’s past is a real work of art .Like my fellow blogger Kinna rereading this is a timely reminder of the need to read more Lusophilla literature .The book was translated by Daniel Hahn who shared the Independent prize as the translator . for ,me this is a bridge between the african village fiction I love and the latin american magic realism I love ,in parts I remembered Borges or Marquez in others Okri came to mind . HAVE YOU A FAVOURITE LUSOPHILE NOVEL ?